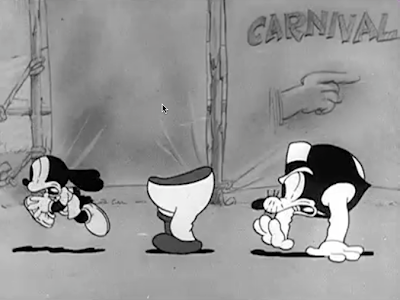 Here's Oswald and his gang doing stuff that works only in cartoons. From a Lantz cartoon called "Carnival Capers" I think. Around 1932?